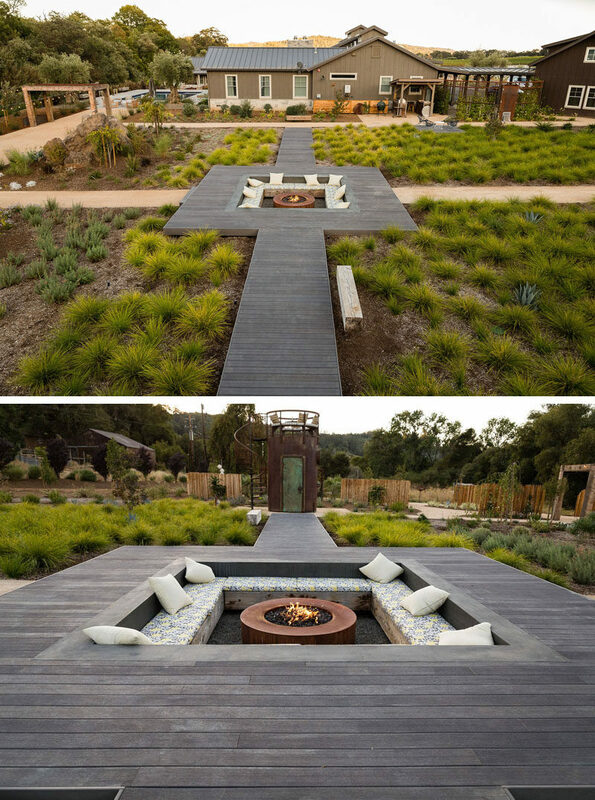 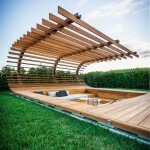 Central to the backyard is a raised wood pathway that leads to a large sunken lounge with bench seating and a fire pit. 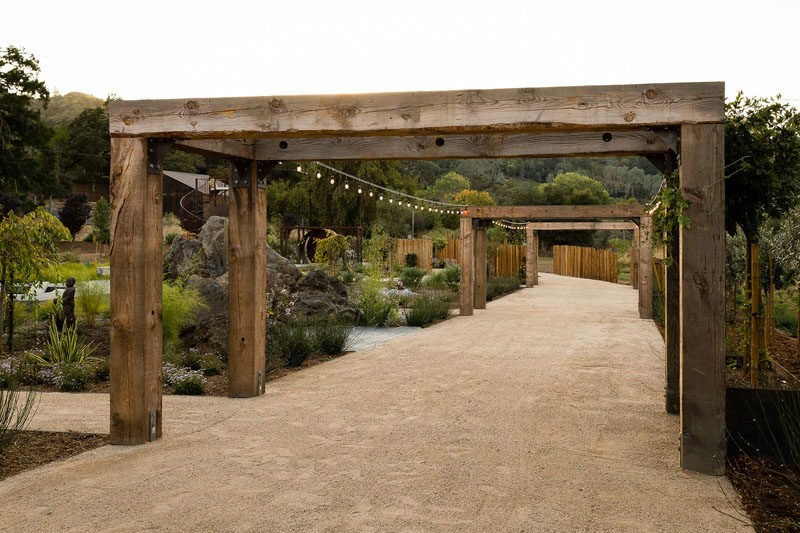 Simple decorative lights hang between wood trellis’, lighting up a gravel pathway. 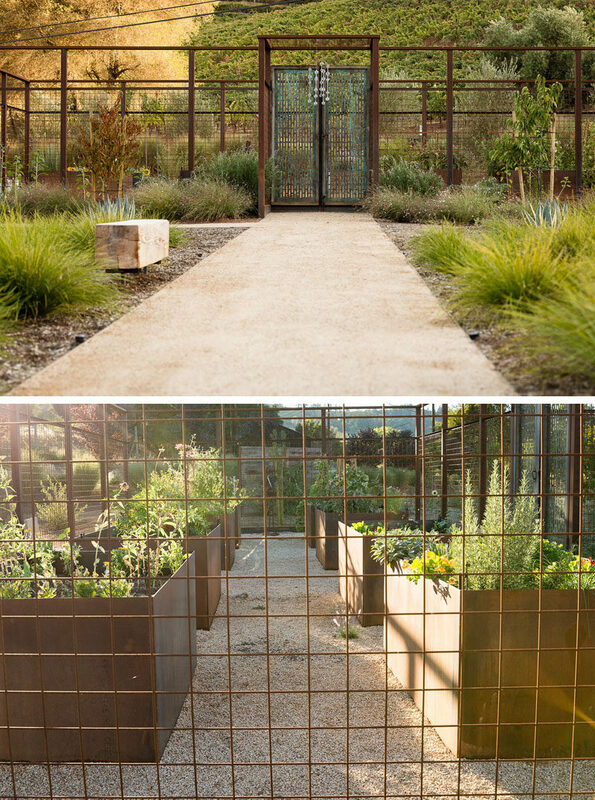 An open-top steel cage with a decorative doors, surrounds a herb and vegetable garden, that also features weathered steel raised planters. 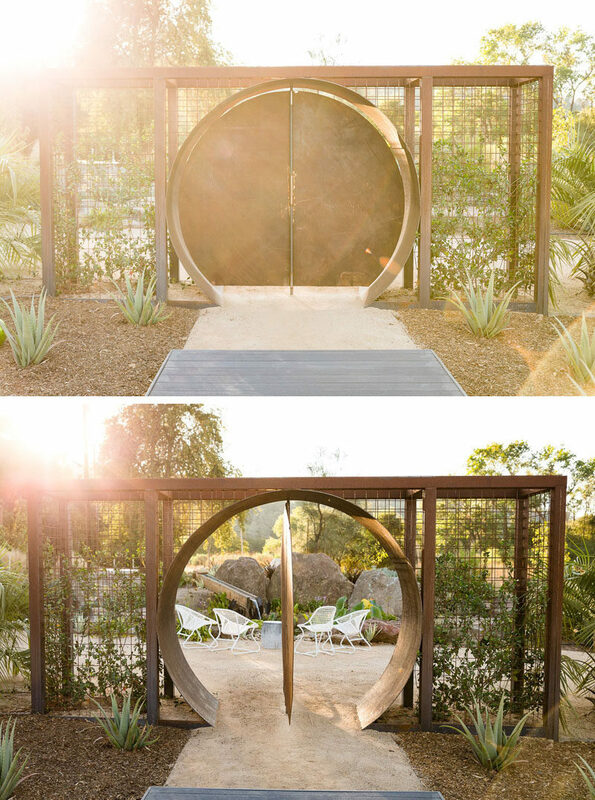 In another area of the garden, there’s a circular steel doorway that opens to a peaceful sitting area. 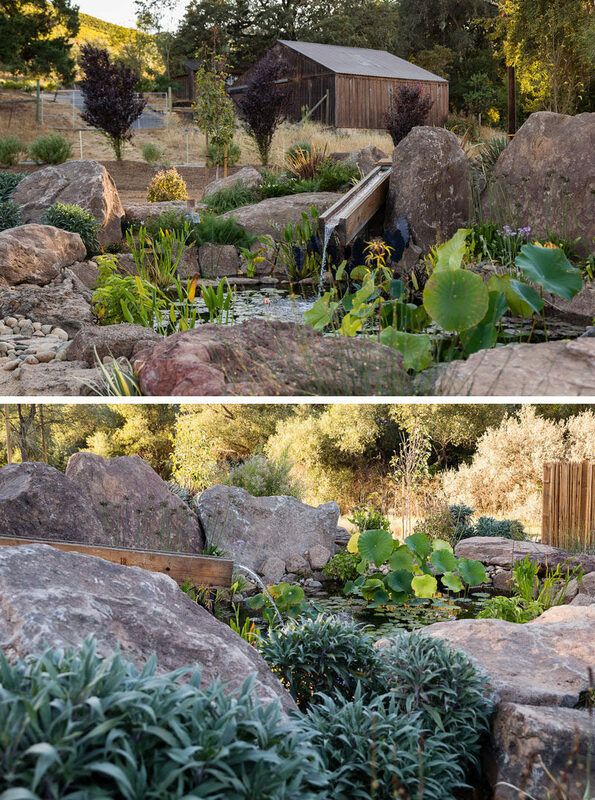 Beside the sitting area is a small pond surrounded by boulders, that showcases plants and a water feature. 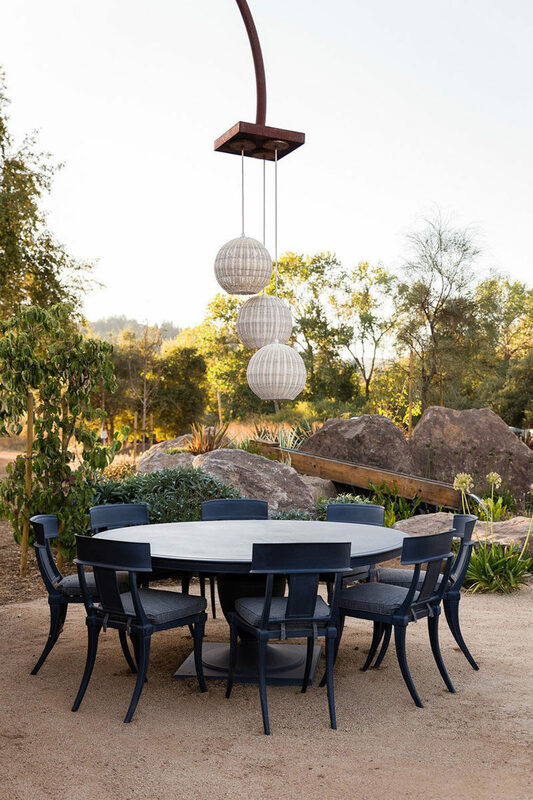 Adjacent to the sitting area and water feature, is an alfresco dining area with three pendant lights hanging above a round dining table. 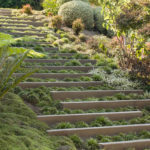 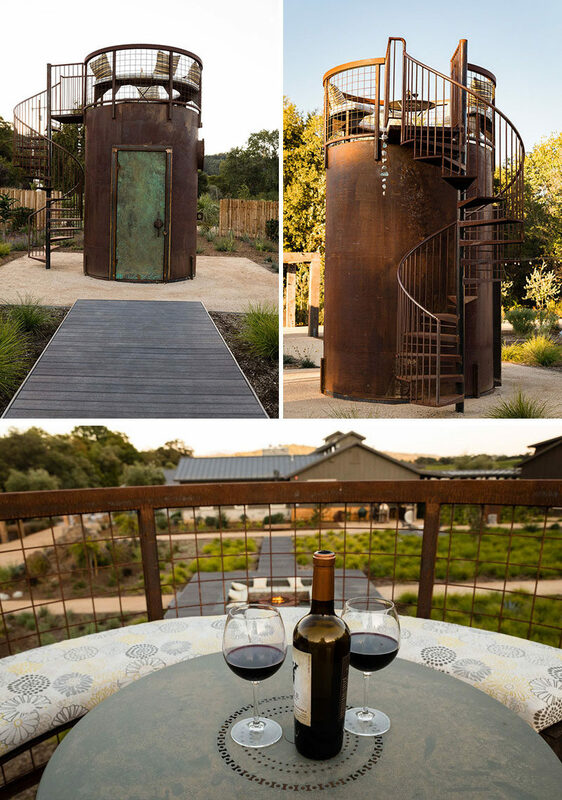 To experience an alternate view of the garden and to enjoy stargazing, a small steel tower has a spiral staircase that leads up to a seating area with a curved bench and a small table. 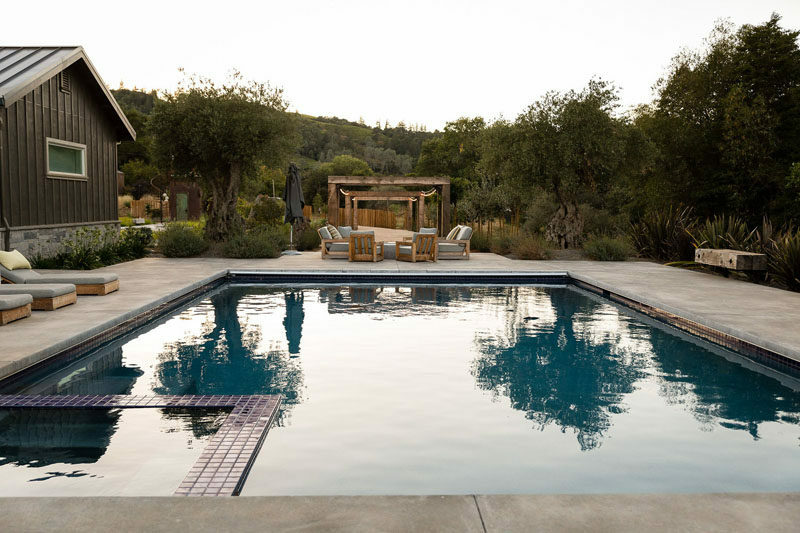 When the weather is warm, there’s a swimming pool at the side of the house, that’s surrounded by a deck with a variety of seating options. 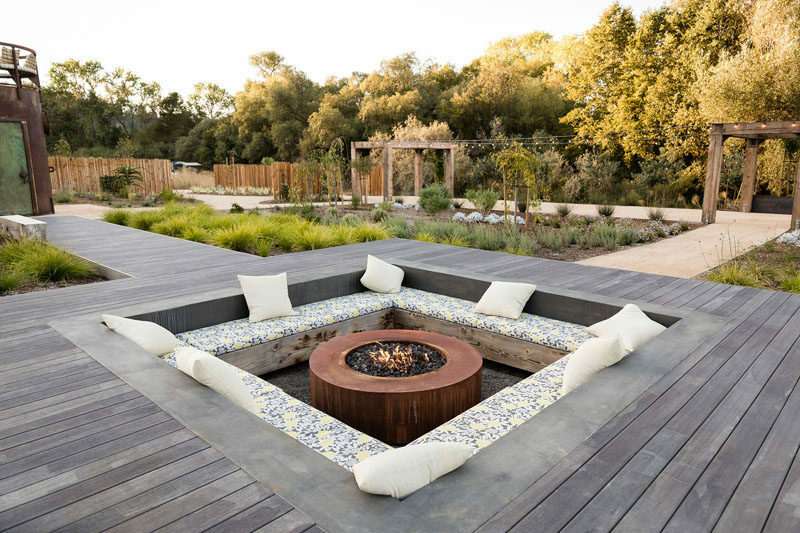 For a more intimate gathering, a small sitting area with a water feature, is surrounded by a curved steel trellis, creating a sense of privacy from the rest of the garden.